Australian precision engineering company Marand has manufactured the first Australian made vertical tail for the F-35 Lightning II Joint Strike Fighters (JSF). Minister for Veterans’ Affairs Senator Michael Ronaldson, representing the Minister for Defence Senator David Johnston, attended an event today at Marand’s Moorabbin premises marking the milestone. Speaking from Perth, Defence Minister David Johnston, praised the involvement of Marand, a wholly-owned Australian company, in the production of the world’s most advanced war plane. “This truly is a great success story for our aero-space industry here in Victoria,” Senator Johnston said. “The F-35 Joint Strike Fighter will provide the Royal Australian Air Force with genuine 5th Generation capability and ensure it retains a regional leading edge air combat readiness.” . Senator Ronaldson said the milestone reflected positively on Australian industry know-how and ingenuity more generally. “Melbourne-based Marand and its supply chain are commencing production of up to 722 sets of vertical tails for the F-35, which will be fitted to the F-35s of United States and other F-35 partner nations. “The manufacture and delivery of the vertical tails is expected to generate around $1 billion of revenue and employ 200 staff at Marand through the life of the program. 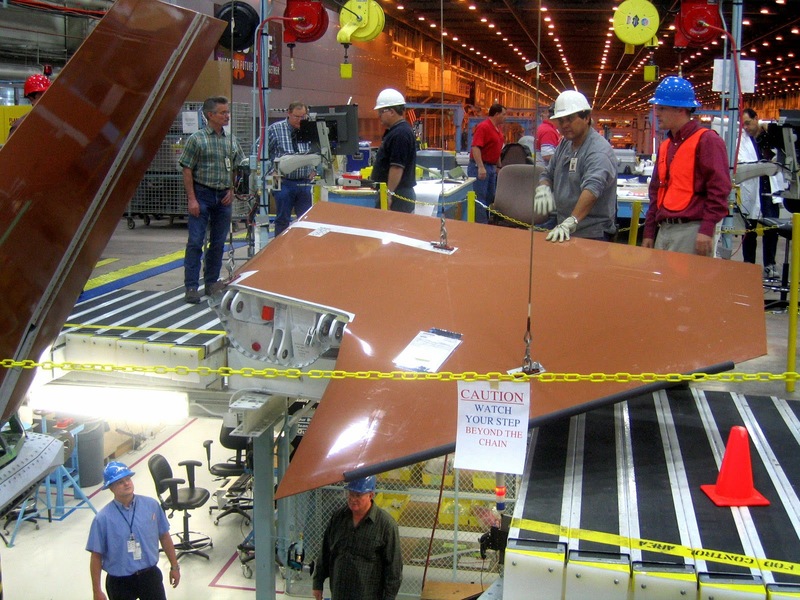 Senator Ronaldson said there were several other significant opportunities for Australian industry, including making composite panels for the fuselage of the F-35, weapons carriers, decoy flares, and other components. “Some 30 Australian companies have been directly involved in the F-35 program to date, and more than $355 million in production orders have been won with only 2-3 per cent of aircraft production completed to date,” he said. The Government expects that Australia’s commitment to purchase any further aircraft will be reciprocated by a commitment from Lockheed Martin to increase these large opportunities for Australian Industry. “Given the stability of the F-35 program, the Australian Government expects Lockheed Martin to enter into long-term contracts with Australian Industry including Marand, to provide further certainty for Australian industry and to allow future cost reductions,” Senator Ronaldson said. Australia’s first two JSF aircraft are on the production line and are due to be delivered in the second half of 2014. Following a period of acceptance activities, pilot training will begin in the United States. From 2018 the Australian Defence Force will commence ferry flights of JSF aircraft to Australia. Pada tanggal 13 Maret 2014 lalu di galangan kapal Marsun shipyard yang berlokasi di provinsi Samutprakarn dilangsungkan peluncuran tiga kapal support Angkatan Laut Thailand. Acara ini dihadiri kepala staf Angkatan Laut Thailand dan para petinggi Angkatan Laut lainnya. Tiga kapal yang diberi nomor lambung S-111, S-112 dan S-113 ini bertugas untuk tugas patroli mencegah infiltrasi, perlindungan bagi kapal nelayan dan kapal komersial, pencegahan dan perlindungan sumber daya alam di Teluk Thailand dan Laut Andaman, penegakan hukum laut dan sebagai kapal dukungan untuk pencarian korban bencana untuk operasi laut dan pesisir. 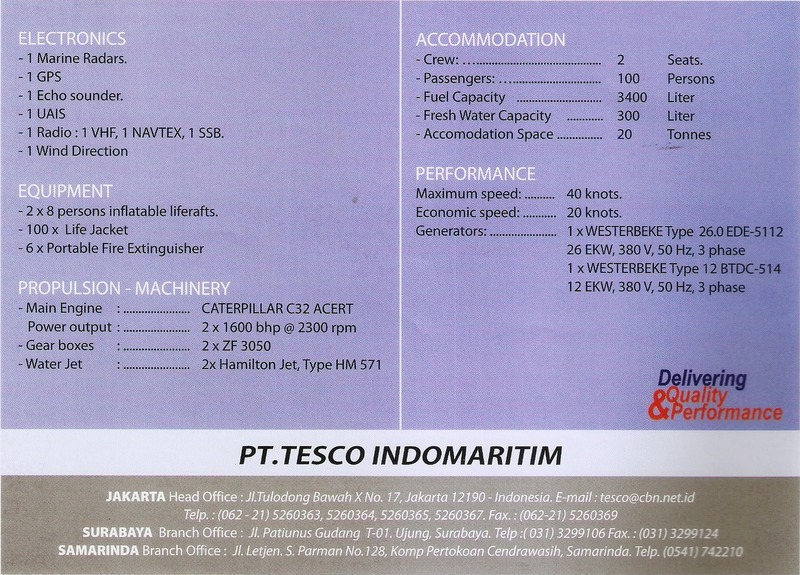 Kapal buatan Marsun Shipyard ini meiliki panjang 36 meter, lebar 7,60 m, dan draught 1.70 meter. mempunyai kapasitas tangki bahan bakar 36.000 liter, dan kapasitas tangki air tawar 8.000 liter air. Secara umum kapal tersebut memiliki kecepatan maksimum 27 knot, namun dengan kecepatan 15 knot jarak tempuh ekonomis yang dapat ditempuh tidak kurang dari 1.200 mil laut. Kapal dapat beroperasi pada Sea State Level 5 ( tinggi gelombang 2,5-4 meter). Kapal dapat terus menerus beroperasi di laut selama tidak kurang dari 10 hari. Selain kemampuan umum tersebut, kapal ini juga memiliki kemampuan untuk mendukung transportasi Operasi Khusus. Dek kapal ini mampu membawa satu unit RIB, dengan menggunakan peralatan conveyor. Kapal dengan bahan aluminium ini mampu mendukung tugas Korps Marinir, dek kapal ini juga dapat memuat dua kontainer ukuran standar 20 feet, dan kapal dapat dilengkapi dengan senapan mesin 20/30 mm dan 50 mm. 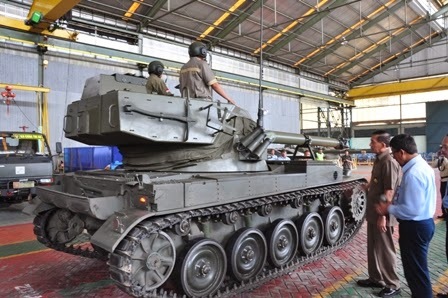 Jakarta - Pihak TNI Angkatan Darat (AD) mendapatkan 103 tank kelas berat Leopard yang dibeli dari Jerman. Kehadiran tank kelas berat tersebut akan menambah daya tempur pihak TNI AD. Beberapa lokasi akan dijadikan tempat singgah bagi kendaraan tempur tersebut. Berikut penempatan 103 unit tank Leopard yang dilansir dari Kepala Dinas Penerangan TNI AD, Brigjen TNI Andika Perkasa, dalam siaran persnya kepada detikcom, Senin (31/3/2014). * 28 Leopard 2 RI. * 13 Leopard 2 RI. * 3 Leopard 2 RI. * 4 Leopard 2 RI. Lanjut, dia mengatakan, dari kebutuhan 103 garasi Tank Leopard, 82 diantara-nya atau 79,6 persennya sudah selesai dibangun di berbagai lokasi tersebut. "Sisa-nya akan diselesaikan tahun 2014," pungkasnya. 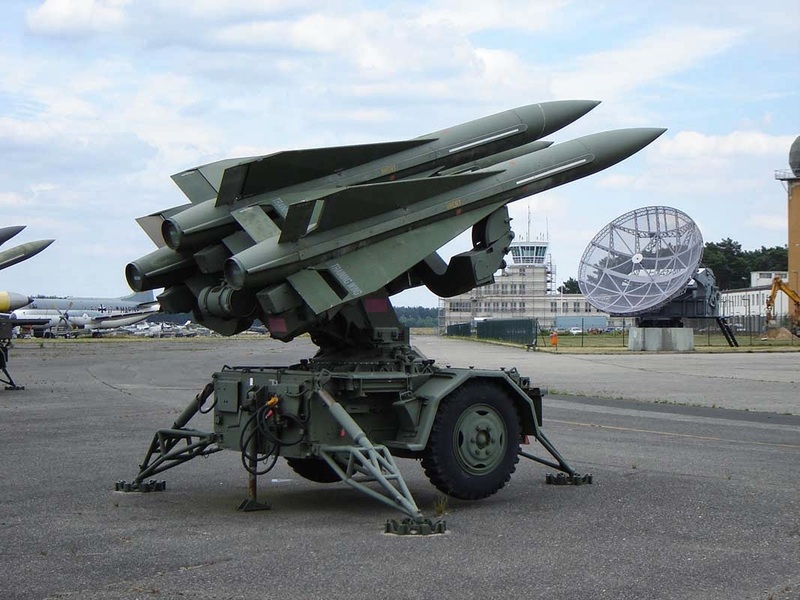 MANILA (PNA) -- The Department of National Defense (DND) is looking at the possibility of acquiring improved and enhanced versions of the Raytheon MIM-23 HAWK (Homing All the Way Killer) surface-to-air missiles (SAMs). The HAWK is a US medium range SAM. The DND stated that acquisition of this weapon aims to protect the country from air threats its shore-to-ship missile (SSM) launchers which it is planning to acquire for the Philippine Army at P6.5 billion. The SSM project consists of 12 launchers, trailers and tracking systems and missiles that could be fired to hit naval or sea targets. It will be carried out through “limited source bidding", a process where certain companies are invited to submit bids for the program. The HAWK is capable of intercepting and destroying any hostile aircraft, drone, or rocket that may be sent to incapacitate or disabled the Army's SSM system. It was initially designed to destroy aircraft and was later adapted to destroy other missiles in flight. The missile entered service in 1960, and a program of extensive upgrades has kept it from becoming obsolete. Israel, one of the operators of the HAWK missile, have upgraded the Phase 2 standard with the addition of a Super Eye electro-optical TV system for detection of aircraft at 30 to 40 kilometers and identification at 17 to 25 kilometers. They have also modified their system for engagements at altitudes up to 24,000 meters. NOWRA, New South Wales, Australia - The Maritime Helicopter Support Company (MHSCo) — a Sikorsky and Lockheed Martin joint venture company — on March, 26 broke ground to build the maintenance and warehouse facilities that will provide Through Life Support logistics services for the Royal Australian Navy’s new fleet of 24 MH-60R SEAHAWK® helicopters. Once completed in early 2015, the two buildings, totaling more than 11,400 square meters (120,000 square feet), will house as many as 120 personnel with the knowledge and ability to keep the fleet in peak flight readiness during its estimated 30-year lifespan. Sited at the Albatross Aviation Technology Park, adjacent to the Royal Australian Navy’s MH-60R operational squadron facilities at the Naval Air Station Nowra, the Through Life Support facilities consist of an 8,300-square-meter (89,000 square feet) Maintenance Repair Operation building to service the 24 helicopters and a warehouse of 3,100 square meters (33,000 square feet). The buildings are to be completed in early 2015. While NAS Nowra personnel will perform day-to-day operational maintenance on the MH-60R fleet, MHSCo’s Through Life Support facilities will be responsible for a higher level of maintenance at periodic intervals. 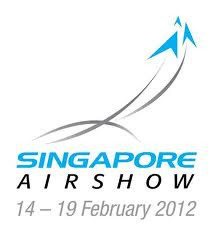 Aircraft will be inducted for scheduled and unscheduled depot level airframe maintenance, or deeper level maintenance, as it is known in Australia. MH-60R helicopter manufacturer Sikorsky and mission systems integrator Lockheed Martin formed MHSCo in 2000 to respond to the U.S. Navy’s need for a single point of contract for hundreds of helicopter parts from multiple suppliers. Today, MHSCo supplies more than 1,300 different components for five U.S. Navy H-60 helicopter types, at high efficiency levels. 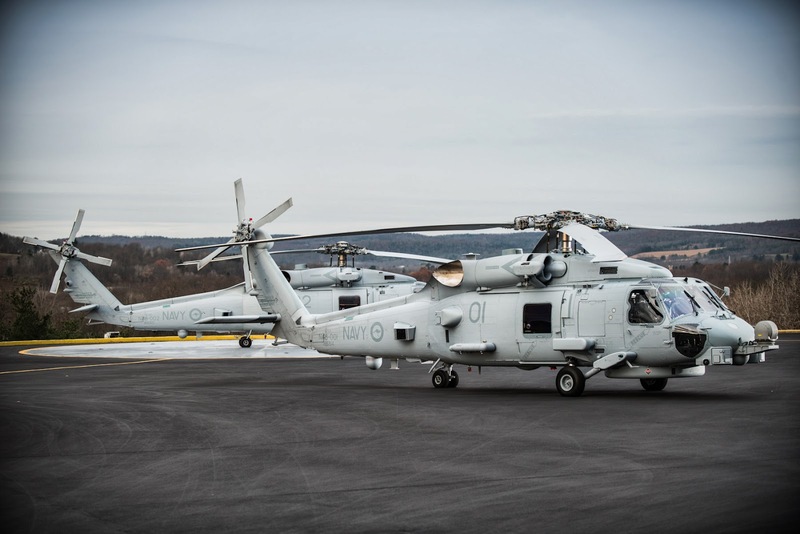 The Royal Australian Navy’s first eight MH-60R helicopters will transition with their aircrews from the training site in Jacksonville, Fla., to NAS Nowra beginning in late 2014. At that time, MHSCo’s current staff of 30 employees will have grown to more than 70 employees. Sikorsky Aircraft Corp., based in Stratford, Conn., is a world leader in helicopter design, manufacture and service. Its parent company, United Technologies Corp. (NYSE:UTX), based in Hartford, Conn., provides a broad range of high technology products and support services to the aerospace and building systems industries. 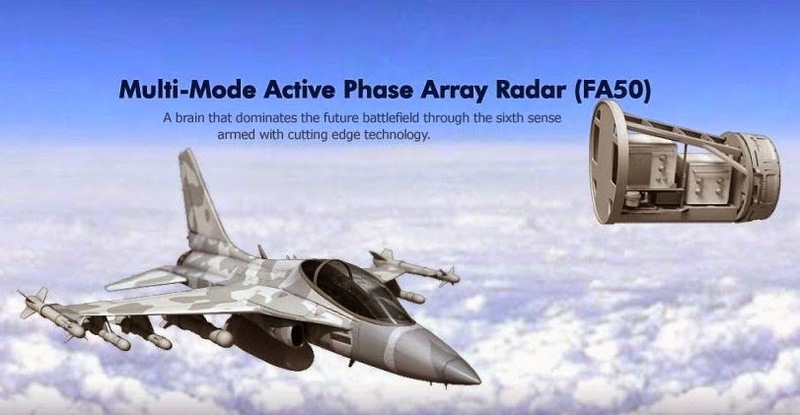 MANILA, (PNA) -- The Department of National Defense (DND) is planning to install equipment that would give the F/A-50 "Fighting Eagle" a "beyond visual range" (BVR) capability. BVR is the capability to detect, track and if needed attack air targets beyond 20 nautical miles (around 37 kilometers). 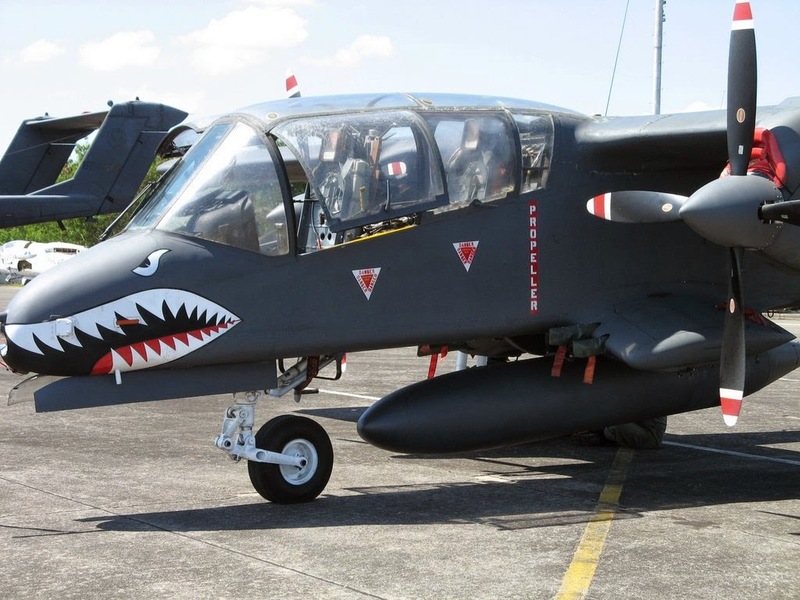 DND Assistant Secretary Patrick Velez said that this is one of the upgrades they are planning to make the F/A-50 a much more capable aircraft in defending the country's airspace. 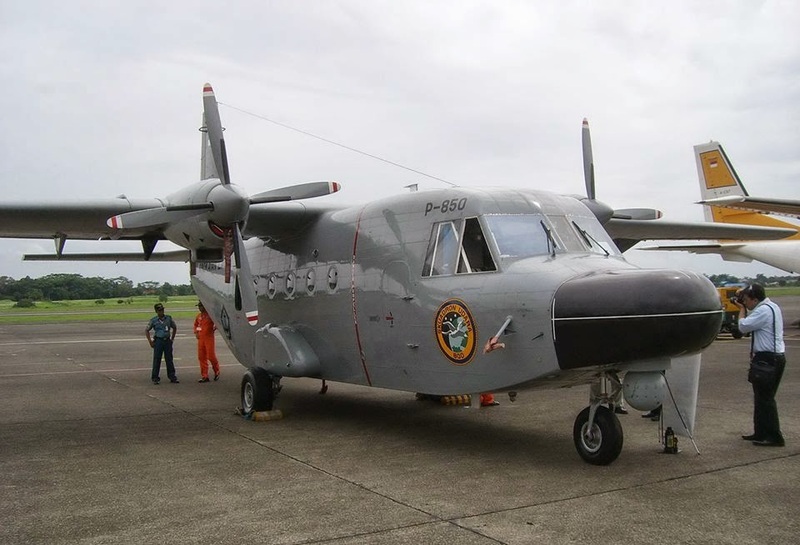 But due to the cost, estimated at P800 million to P1 billion per BVR fitting, not all 12 aircraft will be fitted. "We are looking at the possible installation for three to four aircraft to provide us with a long range intercept capability," Velez said. He added that installing BVR capability to the F/A-50s is relatively simple as the aircraft is already fitted with a decent air-to-air radar. Adjusting it to BVR standards would just mean upgrading the radar to be capable of detection at much longer range and fitting of BVR weapons like the Raytheon AIM-7 "Sparrow" missile. The Philippines and Korea Aerospace Industries Ltd. signed the P18.9-billion contract for the acquisition of the 12 aircraft last Friday. 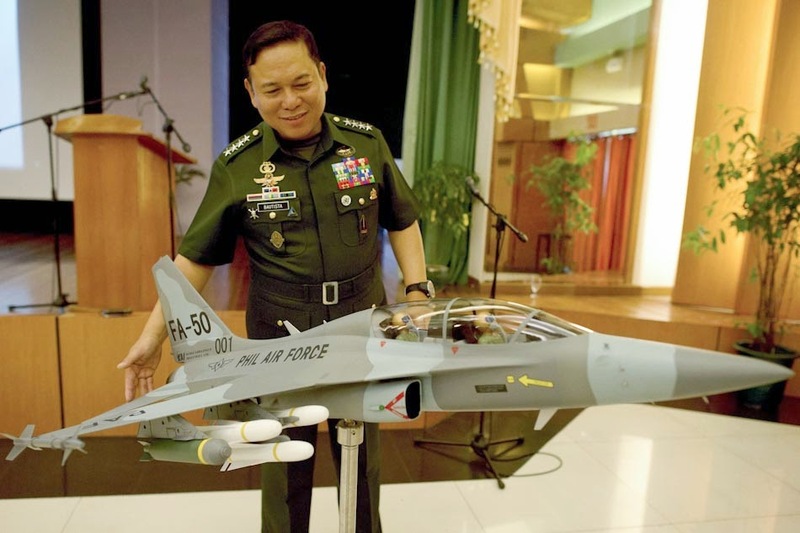 DND Undersecretary Fernando Manalo said that the first two F/A-50 jet aircraft will be delivered 18 months after the opening of the letter of credit; the next two will be delivered 12 months later, and the remaining eight jet planes in staggered basis within eight months. The F/A-50 has a top speed of Mach 1.5 or one-and-a-half times the speed of sound and is capable of being fitted with air-to-air missiles, including the AIM-9 "Sidewinder" air-to-air and heat-seeking missiles aside from light automatic cannons. The F/A-50 design is largely derived from the F-16 "Fighting Falcon" and they have many similarities: use of a single engine, speed, size, cost, and the range of weapons. The aircraft can carry two pilots seating in tandem. The high-mounted canopy developed by Hankuk Fiber is applied with stretched acrylic, providing the pilots with good visibility, and has been tested to offer the canopy with ballistic protection against four-pound objects impacting at 400 knots. The altitude limit is 14,600 meters (48,000 feet), and the airframe is designed to last 8,000 hours of service. There are seven internal fuel tanks with capacity of 2,655 liters (701 US gallons) -- five in the fuselage and two in the wings. The engine consists of three-staged fans, seven axial stage arrangement, and an after-burner. Its engine produces a maximum of 78.7 kN (17,700 lbf) of thrust with after-burner. 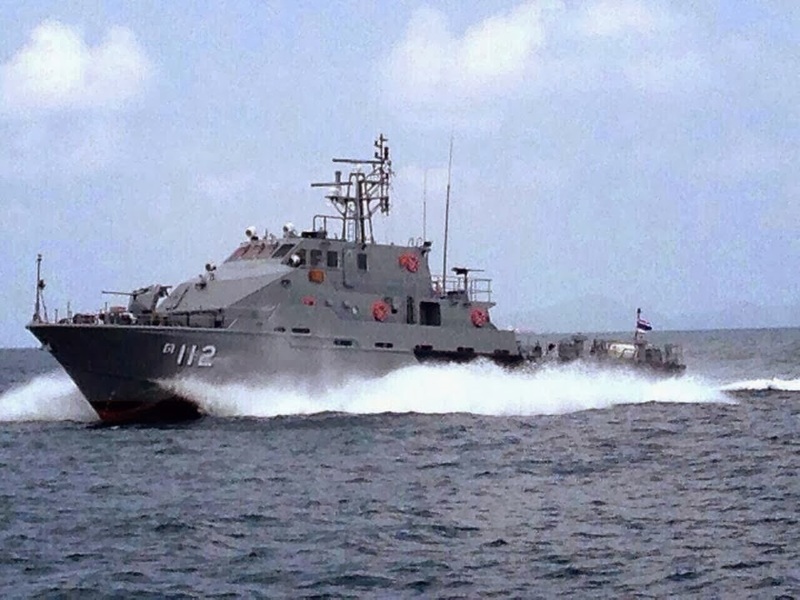 Six Vietnamese Navy's Kilo 636.1 will not equipped with VA-111 Shkval super torpedo as people have speculated previously. Kilo Vietnam will not use super torpedo compartment VA-111 Shkval as previously rumored. Instead, in 2009, Vietnam has decided to buy two types of Russian anti-submarine torpedoes, anti-ship 53-65 and anti-submarine torpedoes TEST 71. The information above has been Research Institute Stockholm International Peace (SIPRI) revealed on 17/3. According to SIPRI, the two torpedo 53-65 and TEST 71 will be combined with the type of anti-ship cruise missiles 3M-54 Klub to form a trio of powerful offensive weapon for the diesel-electric submarines of the Vietnamese Navy's Kilo 636.1 submarines. All three main weapons on this Kilo Vietnam have been ordered since 2009 as part of a deal to buy six Kilo-class submarines, and are expected to be completed in 2016. 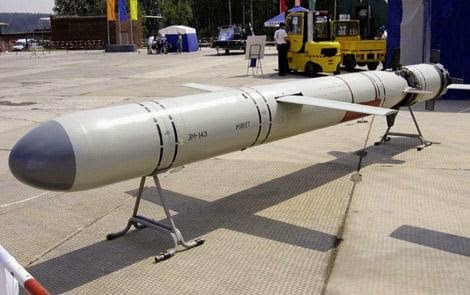 SIPRI's report showed that Vietnam has ordered a total of 50 in anti-ship cruise missiles launched from submarines 3M-54 Klub, 80 anti-ship torpedo 53-65 and 80 anti-ship/anti-submarine TEST-71 torpedo. In 2013, Vietnam received respectively 10, 15 and 15 units for every type of modern weapons. Kilo class submarines are designed 636.1 has six 533 mm torpedo tubes at the front, allowing reporters are all kinds of key offensive weapons, including anti-ship 53-65 torpedoes, TEST-71 anti-ship/anti-submarine torpedo and Klub cruise missiles. Type 53-65 or 53-65 is guided torpedo sonar, is designed based on the previous generation torpedoes Type 53-61. The export version is called 53-65KE used exclusively to combat surface ships. 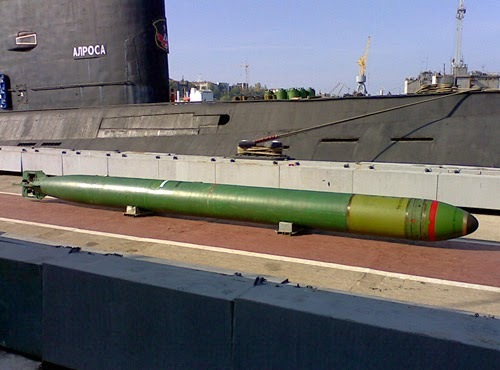 533 mm diameter torpedo, length 7.2 m, weight of 2.070 kg and equipment weighing up to 300 kg warhead. Type 53-65 reached 12 km ranged attacks while moving at speeds 125 km/h and moving speed 83 km/h of 18 km (53-65K variant reaches 19 km and 53-65M up to 22 km). As predicted, Vietnam will buy the Type 53-65K variant torpedo. TEST-71 is homing torpedoes and heavier wires rather than the type of TEST 68 - wire-guided torpedoes first lead of the Soviet Union. TEST-71 owns many advantages, such as longer range, heavier warhead and can attack targets at greater depths. In addition to the initial prototype, was developed TEST-71 4 variant is more TEST 71M, TEST 71MK, TEST 71ME-NK and TEST 3. 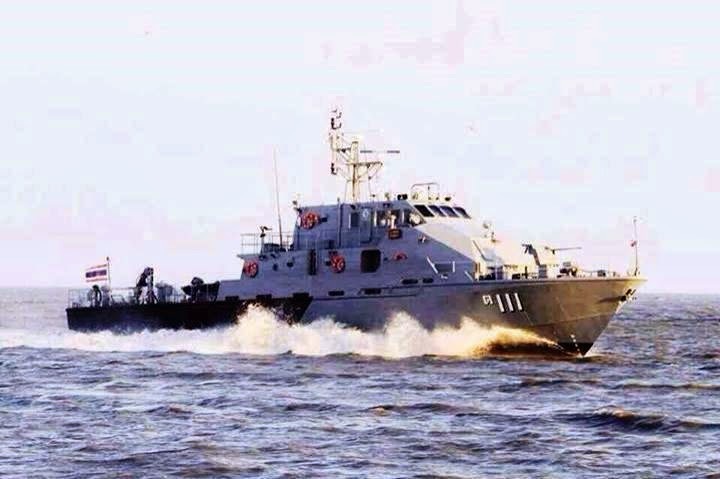 Among them, only variations TEST 71ME-NK is capable of versatile attack (both surface ships and submarines), therefore, there is high possibility this is also the variant torpedo TEST 71 Vietnamese Navy subscribe to Kilo. TEST-71ME-NK has 533 mm diameter, 7.93 m long, weight 1.820 kg; warhead weighs 205 kg and has a great advantage is equipped with 2 fuses different: it needs to target (acoustics and magnetic field) and hit explosion. 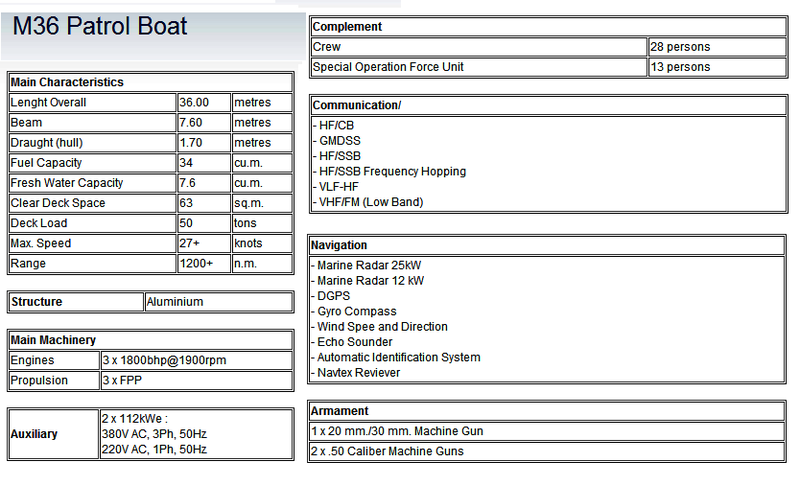 Torpedo operations are controlled by wireless remote, semi-active probes and transducers for sonar target detection range up to 1.5 km. TEST-71ME-NK propulsion system is equipped with 2 dual propeller, 48km/h cruise speed and increased to 74 km/h in the final stages, 20 km long range attack at a depth of up to 400m. 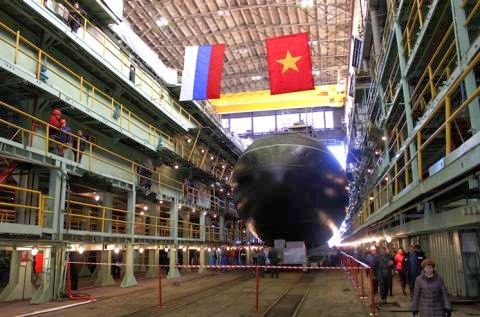 Also 2 torpedo attack on the key, Vietnamese Kilo also will be equipped with cruise missiles, most powerful and now most modern in Russia the 3M-54 Klub. According to the SIPRI Vietnam received 50/80 missiles. 3M-54E missiles has 8.22 m long, 0.53 m diameter, weight 2.300 kg, fitted armor piercing warhead weighs 200 kg explosive fragmentation. Rocket can reach cruising speed of Mach 2.9 (nearly 3 times faster the speed of sound), a range of 200 km. 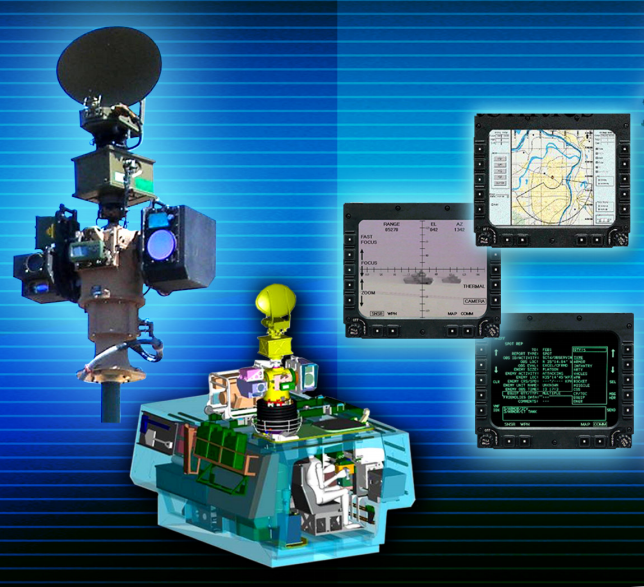 3M-54E probe integrated navigation ARGS-54 active radar target detection is of nearly 60 km. That is the way target range of 60 km, the rocket ammo will automatically detect, catch and target key grip without interference from the launch vehicle. A range, fly super fast speed, complex flight trajectory, bullet 3M-54E missiles is considered one of the assassins kill leading warship. 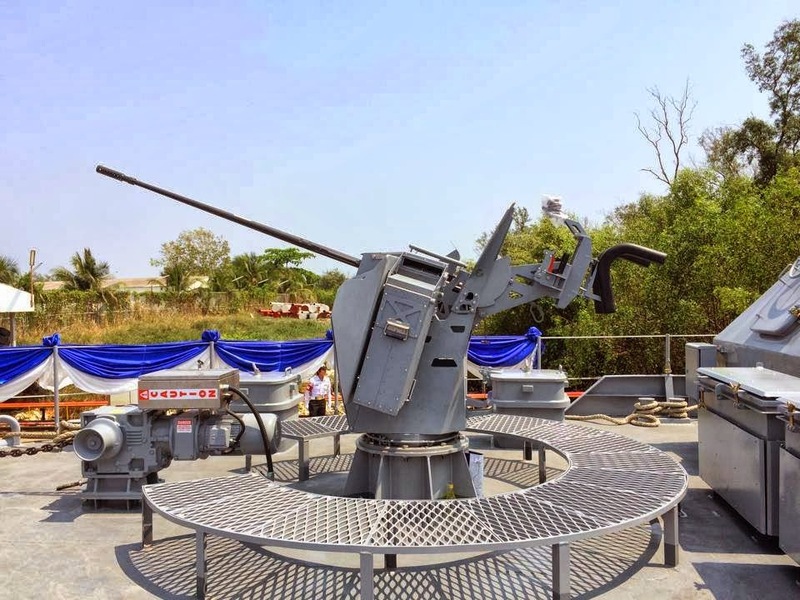 As can be seen, 636.1 Kilo Vietnam Navy is equipped with a system of powerful weapons and modern. With 6 submarines completed after 2016. 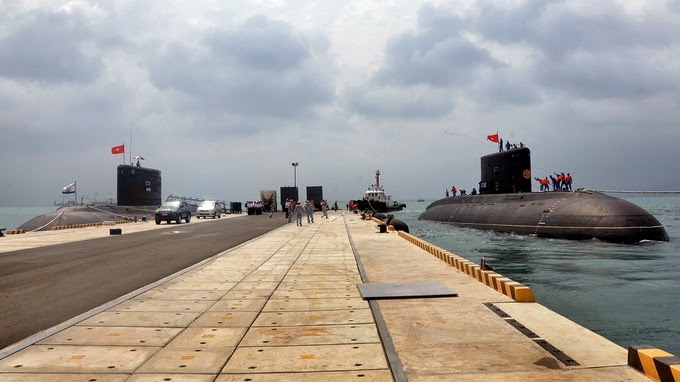 Vietnamese Navy will have the most modern fleet submarine in the region, it represents an orca as Kilo briskly hidden escape the black hole in the ocean, fired and ready to fight to defend sovereignty islands of the country. 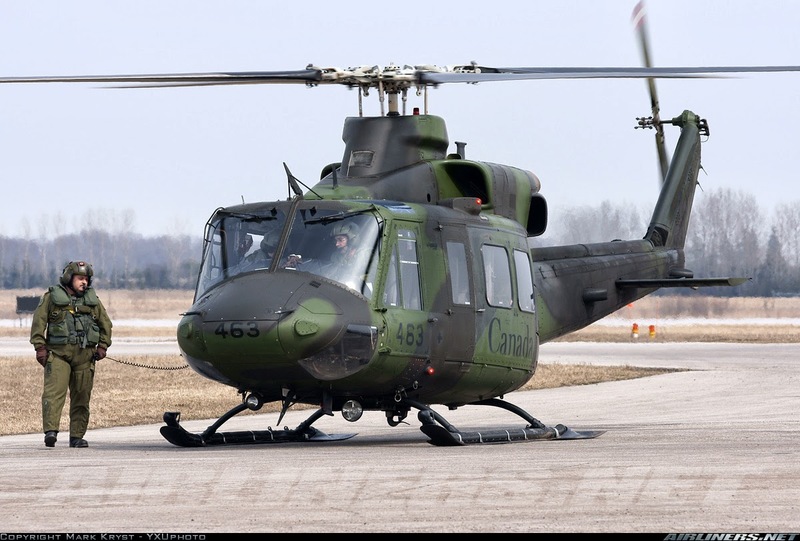 The Honourable Ed Fast, Minister of International Trade, today announced that Canada has signed a US$105-million contract with the Philippines to supply eight specialized helicopters manufactured by Bell Helicopter Textron Canada Ltd.
As one of Canada’s largest exporters, the Canadian aerospace industry exports nearly 80 percent of its products. Canadian exports of aircraft, aircraft engines and aircraft parts reached a near-record high of $10.8 billion in 2013, a 5.4 percent increase from the year before. Canada’s aerospace industry comprises more than 700 companies of all sizes from coast to coast and employs more than 170,000 Canadians. In 2012-13, the Canadian Commercial Corporation was active in 72 countries with more than 210 Canadian companies, signing contracts worth approximately $1 billion. 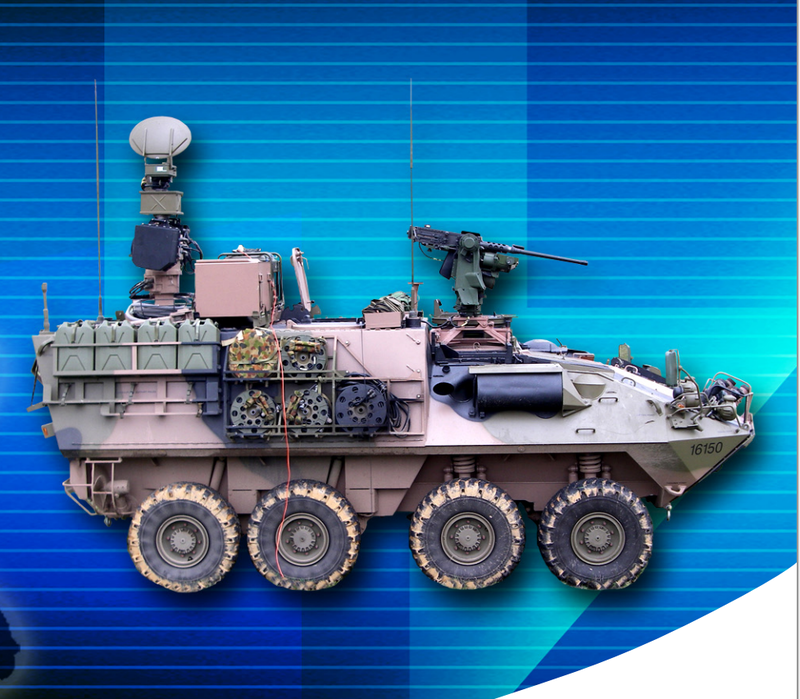 After rigorous testing, the new Australian Light Armoured Vehicle surveillance variant, ALSAV-S, has been shown to significantly improve Army’s Cavalry operations. 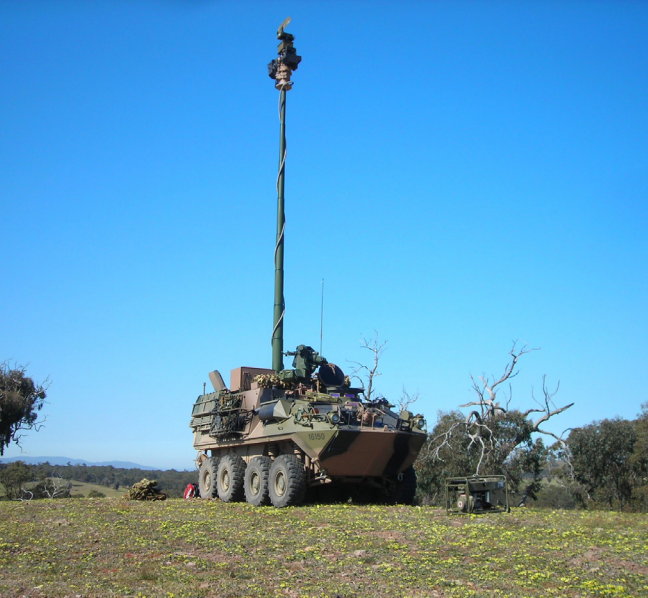 The new vehicles tested during Exercise Kosta River in late March 2014, conducted at the Shoalwater Bay Training Area. 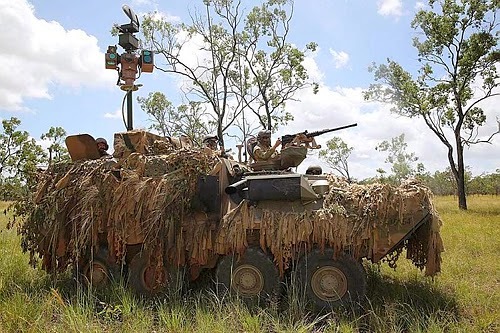 Commanding Officer of 2nd/14th Light Horse Regiment (Queensland Mounted Infantry) Lieutenant Colonel Ash Collingburn said the vehicles were yet another tool in the Intelligence, Surveillance, Reconnaissance toolbox. “The new vehicles are a game changer; the new capability they provide changes the way we think about Cavalry operations,” Lieutenant Colonel Collingburn said. Exercise Kosta River, was a training opportunity for surveillance troops, providing the chance to put the new vehicles through their paces. “We’re learning as we go,” Lieutenant Colonel Collingburn said. Equipped with the Multispectral Surveillance Suite of equipment including a ground surveillance radar, thermal camera and day camera, the vehicles are capable of laser designating targets and can penetrate the tree canopy thanks to its raiseable mast. This equipment now allows the surveillance troops to screen over greater distances than they have previously been able to with traditional Cavalry vehicles. Crew Commander Corporal Daniel Cameron leads one of the vehicles and said the first time he saw the system in his training he thought it was amazing. Corporal Cameron said the field trial had been going well. “Like anything there are always some teething issues with new equipment but the training we’re doing here is good in order to test it properly,” he said. 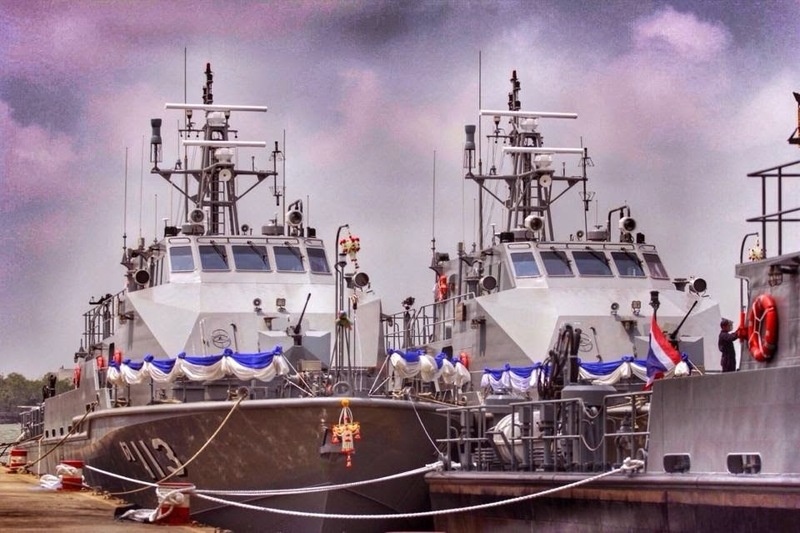 Peresmian Landing Craft Utility (LCU) untuk melengkapi di dua KRI jenis Landing Platform Dock (LPD) yang berada di bawah pembinaan Komando Lintas Laut Militer (Kolinlamil) yakni KRI Banjarmasin-592 dan KRI Banda Aceh-593, dilaksanakan di Mako Kolinlamil, Jakarta Utara, Kamis (27/3). Peresmian tersebut ditandai dengan penyerahan berupa miniatur LCU dari PT. Tesco Indomaritim Bapak Yamin kepada Panglima Komando Lintas Laut Militer (Pangkolinlamil) Laksamana Muda TNI S.M. Darojatim, dilanjutkan pertukaran cendera mata dan acara potong tumpeng. 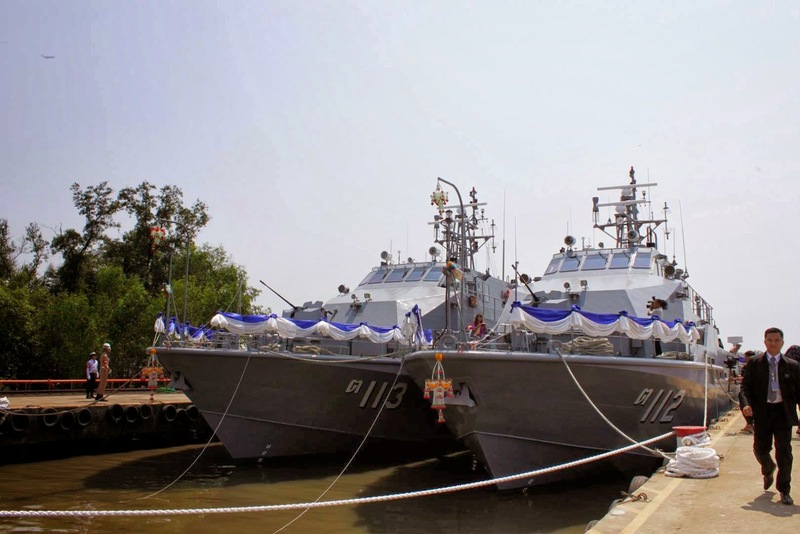 Pangkolinlamil dalam sambutannya mengatakan, bahwa produk Alat Utama Sistem Persenjataan (Alutsista) Landing Craft Utility (LCU) ini dinantikan kehadirannya untuk memperkuat sekaligus menambah kekuatan dari unsur KRI Banjarmasin-592 dan KRI Banda Aceh-593 yang dimiliki oleh TNI Angkatan Laut. Penambahan jumlah dan modernisasi alutsista memang sangat kita butuhkan untuk mendukung pelaksanaan tugas TNI Angkatan Laut serta Kolinlamil pada khususnya. Lebih lanjut Pangkolinlamil menekankan kepada Komandan Satuan Lintas Laut Militer (Dansatlinlamil) baik Jakarta maupun Surabaya agar menyiapkan personel serta mengadakan pelatihan untuk mengawaki LCU tersebut, Pelatihan ini penting agar personel tersebut mampu mengawaki LCU tersebut secara baik, dan diharapkan setelah diadakannya pelatihan itu para pengawak KRI dapat mengoperasikannya dengan penanganan terbaik, sehingga seluruh peralatan yang ada di LCU dapat dipelihara dengan baik dan dapat memperpanjang usia pakai menjadi lebih lama. 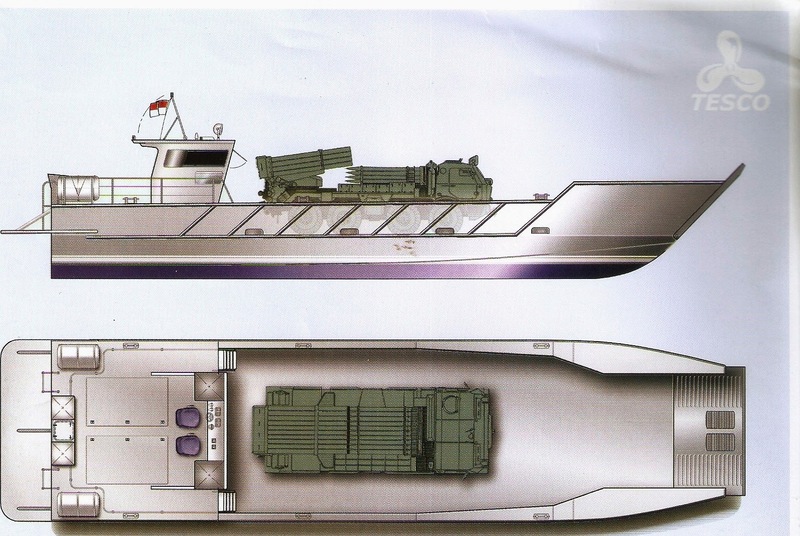 Kedua unit Landing Craft Utility (LCU) merupakan hasil dari pengadaan Kementerian Pertahanan (Kemhan) yang kemudian diserahkan kepada TNI Angkatan Laut pada awal tahun 2014. LCU yang diresmikan ini adalah tipe water jet produksi dalam negeri yang merupakan jenis boat yang digunakan atau difungsikan oleh pasukan pendarat amfibi untuk mengangkut peralatan perang dan pasukan ke pantai, LCU juga mampu untuk mengangkut kendaraan dari kapal amfibi ke dermaga. Acara peresmian tersebut dihadiri seluruh pejabat di lingkungan Kolinlamil serta perwakilan dari PT. Tesco Indomaritim. MANILA, Philippines -- Elbit Systems Land and C41, a defense material manufacturer based in Israel, won the bid to supply the Army more than P368 million worth of artillery, a source privy to the bidding said. “Elbit offers P368,837,332 for 12 pieces of 155 Howitzer canons with accessories and ammunition,” beating Bosnian firm BNT, the source said. 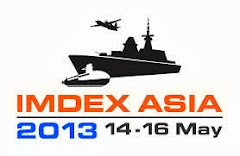 The second conference that concluded with the choosing of the winning bid was held in Camp Aguinaldo. The defense department’s Bids and Awards Committee for the project is led by Assistant Secretary Efren Fernandez. Elbit offered its Athos howitzer system. Bids for the contract were opened on December 5 last year, following a pre-bid conference on November 22. NATUNA (BP) – Komandan Pangkalan Udara (Danlanud) Ranai, Letkol (Pnb) Andri Gandy, mengatakan pangkalan Udara TNI AU Ranai akan segera diliengkapi dengan jet tempur cangih, Sukhoi. Untuk itu di pangkalan ini akan segera dibangun shelter Sukhoi di hanggar barat Lanud Ranai. “Pembangunan Shelter Sukhoi ini sebagai pangkalan pendukung operasi TNI AU di Natuna,” sebut Andri Gandy di Ranai, Kamis (27/3). Shelter ini, kata Gandy, untuk memungkinkan pergelaran pesawat tempur dan dijadikan home base di Lanud Ranai. Sehingga pesawat Sukhoi tetap berada di Lanud Ranai, jika setiap saat diperlukan. Saat ini Lanud Ranai sendiri sudah dilengkapi beberapa fasilitas seperti lampu runway, lampu taxiway, emergency, radio TNI AU primary dan secondary hingga lampu tower. Jika sebelumnya bandara ini belum bisa beroperasi di malam hari, tetapi saat ini sudah bisa dioperasikan dan sudah dilengkapi radar yang terintegrasi. “Setidaknya dalam kurun waktu dekat, bandara Lanud Ranai bisa sekelas Batam. Walau panjang landasan saat ini masih 2,5 kilometer, sementara Batam sudah tiga kilometer,” ujarnya. Sebelumnya Asisten Deputi I Bidang Pertahanan Negera Kemenko Polhukam, Fajru Zaini, mengatakan pembangunan shelter pesawat tempur Sukhoi di Lanud Ranai sudah dianggap sebagai langkah memenuhi standar minimum pertahanan negara. 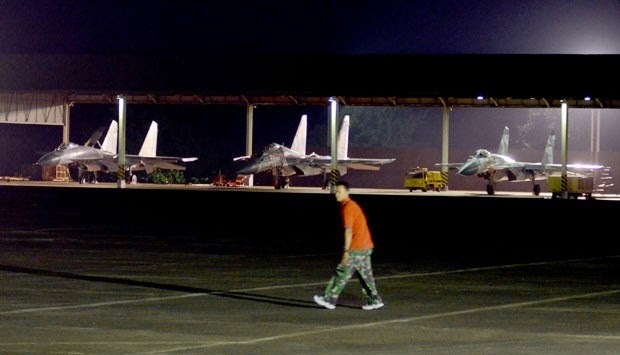 Fajru mengakui, Shelter Sukhoi salah satu penunjang pengembangan kekuatan pokok minimum (minimum sssential force/MEF) pada rencana strategis (Renstra) ke depannya. Sehingga kelak pesawat yang melakukan operasi lebih mudah parkir di pangkalan terdepan, salah satunya seperti di Natuna. “Memang kita harus siapkan sarana untuk alat tempur seperti pesawat tempur Sukhoi. Pembangunan shelter itu dalam menunjang minimum essential force. Dimanapun pangkalan terdepan kita harus sediakan shelter,” ungkapnya saat di Ranai, pekan lalu. Menurutnya, kelengkapan fasilitas di pangkalan udara terdepan akan memungkinkan pesawat melakukan operasi dengan optimal. Namun pihaknya berupaya melengkapi standar di bandara Lanud Ranai untuk operasi pesawat-pesawat seperti Sukhoi. “Perlu persiapan dulu mulai dari suplai listrik, ground pendaratan yang standar sesuai lebar dan panjang landasannya,” ujarnya. SOLO, (PRLM).- Kepala Staf Angkatan Darat (Kasad) Jenderal TNI Budiman menyatakan, posisi Tentara Nasional Indonesia (TNI) di kawasan regional ASEAN maupun internasional sangat strategis. Sehingga, negara-negara super power merasa butuh berkawan dan menjalin kerjasama dengan Indonesia, karena di kawasan ASEAN kekuatan TNI sangat besar. "Kasad Inggris secara khusus datang ke Indonesia dan saya sebagai Kasad dua kali diundang Kasad AS, karena mereka ingin berkawan dan menjalin kerjasama. 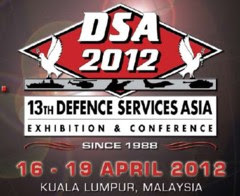 Sekarang ini ada delapan negara besar yang menjalin kerjasama militer dengan Indonesia, yaitu Amerika Serikat, Australia, Rusia, Republik Rakyat Tiongkok, India, Korea Selatan, Jepang dan New Zealand. Inggris sendiri sejauh ini belum bekerjasama tetapi sudah berkawan," ujarnya kepada wartawan, seusai memberi pengarahan di depan 600-an prajurit Batalyon Infanteri (Yonif) 413 Bremoro, di markas Mojolaban, Solo, Jumat (28/3/2014) siang. Dalam kaitan hubungan kerjasama militer tersebut, menurut Jenderal Budiman, sekarang bukan lagi zamannya negara super power mendikte Indonesia. Dia menegaskan, dalam urusan pertahanan dan militer hanya negara miskin yang mau didikte negara lain. Indonesia tidak bisa didikte karena di kawasan Asia Tenggara TNI yang punya kekuatan sangat besar. "Sekarang bukan masanya mendikte. No! Tidak ada yang mendikte Indonesia. Tapi negara super power itu butuh kawan untuk bekerjasama," tandasnya. Menyinggung Batalyon Infanteri (Yonif) 413 Bremoro yang akan ditingkatkan menjadi batalyon infanteri mekanis dengan kelengkapan kendaraan lapis baja, Kasad menjelaskan, program itu terkait dengan pembelian alat utama sistem persenjataan (Alutsista) berupa tambahan 50 unit tank Marder. Sebagian di antara kendaraan tempur infanteri yang disebut Infanteri Fighting Vehicle (IFV) itu, akan ditempatkan di Yonif 413 Bremoro Solo. 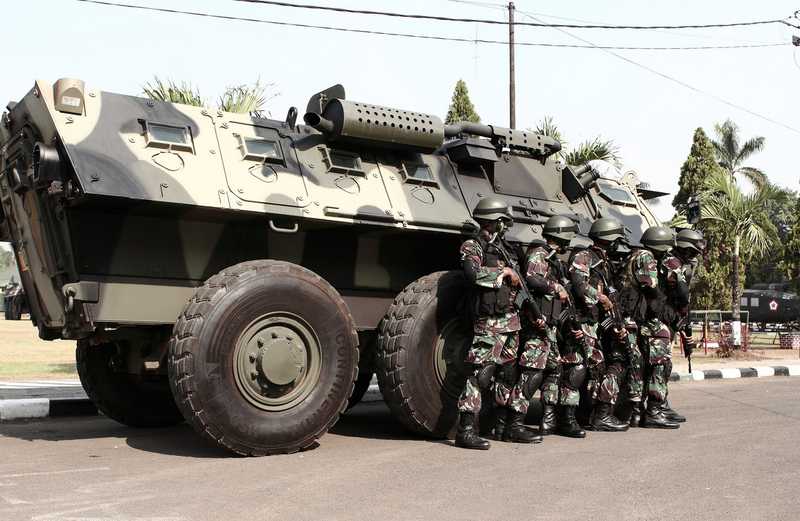 "Jadi fungsi Yonif 413 tetap hanya dilengkapi dengan fasilitas IFV sehingga menjadi batalyon infanteri mekanis. Sedang selain batalyon itu ada juga batalyon infanteri motoris dengan kendaraan tempur Anoa. Kendaraan lapis baja itu untuk melindungi prajurit karena nyawa orang itu mahal," jelasnya. 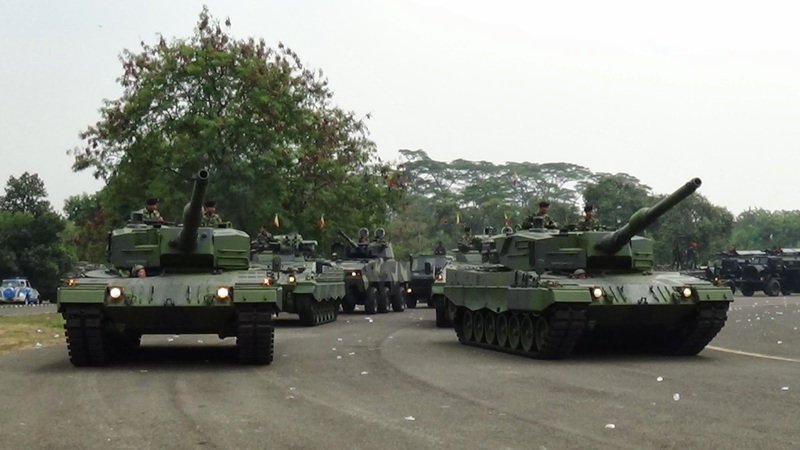 Saat ini, sambungnya, persiapan terus dilakukan di Yonif 413 sampai tank Marder datang memperkuat jajaran TNI-AD pada Oktober 2014 mendatang. Kasad memproyeksikan di tiap kota besar ada batalyon mekanis. Tapi saat ini dari 100 batalyon lebih di seluruh Indonesia, yang sudah ada batalyon mekanis baru enam kota, yakni Jakarta ditempatkan satu brigade, di Surabaya dan tahun ini di Solo satu batalyon. Di depan para prajurit Yonif 413 itu, Kasad mengungkapkan, TNI AD diberi peralatan tempur luar biasa dengan kemampuan bertempur prajurit yang tidak dimiliki negara lain harus terus dipelihara dan dibangunn dengan latihan. Kepala Staf Angkatan Laut (Kasal) Laksamana TNI Dr. Marsetio meresmikan gedung Markas Komando (Mako) Wing Udara 2 dan Mess Perwira Pangkalan Udara Angkatan Laut (Lanudal) Tanjung Pinang, Rabu (26/3), di Lanudal Tanjung Pinang, Kepulauan Riau. Peresmian kedua bangunan tersebut ditandai dengan penandatangan prasasti yang dilakukan oleh Kasal. Peresmian Mako Wing Udara 2 dan Mess Perwira Lanudal Tanjung Pinang pada dasarnya merupakan salah satu implementasi dari upaya TNI Angkatan Laut untuk meningkatkan fasilitas dan sarana tempat kerja yang memadai dan representatif, sehingga selain akan menumbuhkan rasa bangga bagi seluruh prajurit dan pegawai negeri sipil (PNS) TNI Angkatan Laut di jajaran Wing Udara 2, maupun Lanudal Tanjung Pinang, sekaligus meningkatkan kinerja organisasi agar semakin optimal dalam melaksanakan tugasnya. Dalam amanatnya, Kasal menyampaikan bahwa Lanudal Tanjung Pinang yang telah berdiri sejak tahun 1977 silam, merupakan salah satu pangkalan pendukung operasional bagi unsur-unsur pesawat udara TNI Angkatan Laut yang memiliki nilai strategis, mengingat pangkalan ini berada di wilayah perbatasan serta corong strategis bagi bangsa indonesia, sehingga keberadaan pangkalan ini sangat mendukung pertahanan negara di laut. ”Penerbangan TNI Angkatan Laut merupakan bagian integral dan tidak terpisahkan dari sistem kesenjataan angkatan laut yaitu SSAT (Sistem Senjata Armada Terpadu) yang terdiri dari Kapal, Pesawat Udara, Pasukan Marinir dan Pangkalan,” jelasnya. “Demikian pula halnya dengan satuan Wing Udara 2, yang sebelumnya bernama Satuan Udara Armada Barat atau Satudarmabar, yang telah berdiri sejak 1994, merupakan salah satu Komando Pelaksana Pembinaan di bawah Pusat Penerbangan Angkatan Laut (Puspenerbal), yang memiliki tugas membina kesiapan tempur pesawat udara TNI Angkatan Laut sebagai salah satu dari Sistem Senjata Armada Terpadu (SSAT),” lanjutnya. Diakhir amanatnya, Kasal mengharapkan dengan diresmikannya gedung Mako Wing Udara 2 dan Mess Perwira Lanudal Tanjung Pinang, diharapkan para pengawak organisasi Wing Udara 2 maupun Lanudal Tanjung Pinang dapat memanfaatkan, merawat, dan menjaga segala fasilitas gedung dengan baik, karena hal ini merupakan tanggung jawab moral terhadap amanat rakyat yang dipercayakan kepada TNI Angkatan Laut, khususnya penerbangan TNI Angkatan Laut. Turut hadir dalam acara peresmian tersebut para Asisten Kasal, para pejabat Mabesal, para Pangkotama TNI Angkatan Laut, Komandan Puspenerbal, serta para perwira penerbang Angkatan Laut lainnya. Korea Aerospace Industries (KAI) signed a $420 million (450 billion won) contract Friday to export a dozen FA-50 light attack aircraft to the Philippines. In a signing ceremony, Defense Secretary Voltaire Gazmin and Korea Trade-Investment Promotion Agency (KOTRA) CEO Oh Young-ho inked the deal that will deliver the first batch of jets late next year. The delivery is expected to be completed by 2017. As the transaction is signed under a government-to-government deal, KOTRA participated in the signing on behalf of KAI because the agency is in charge of the Korean government’s commercial transactions. “The deal with the Philippines, following one with Iraq last year, is boosting confidence that Korea is competitive in the fighter market,” KAI CEO Ha Sung-yong said. With the deal, KAI has put the second Southeast Asian country on its customer list. It has sold 16 T-50 supersonic trainers to Indonesia, 40 KT-1 basic trainers to Turkey and 20 KT-1s to Peru. It also signed with Iraq to sell 24 FA-50s in December. KAI believes a series of sales will contribute to the Sacheon, South Gyeongsang Province-based firm, establishing itself as a competitive presence in the market for lower-priced fighters. In the competition, the KAI product beat Swedish Saab JAS-39 Gripen, Israel Aircraft Industries’ Kfir and F-16 as well as BAE Systems’ Hawk-128, Russian Yakovlev’s Yak-130 and Czech aircraft producer Aero Vodochody’s L-159, according to the Korean firm. The two sides were closing in on the deal last year after the Manila government signed a memorandum of understanding, but the decision was delayed after Typhoon Haiyan struck the Southeast Asian country in November. However, President Park Geun-hye asked for cooperation from Philippine President Benigo Aquino III in October, when they agreed to expand cooperation in defense and economy in Seoul. KAI is set to try to continue the winning vibe in its sales pitch for other countries including Botswana, the United Arab Emirates and eventually the United States. In the U.S. Air Force’s trainer program, codenamed “T-X,” aimed at replacing its fleet of T-38s, the U.S. side plans to purchase 350 new aircraft worth billions of dollars. In the U.S. competition, KAI, teaming up with U.S. aerospace giant Lockheed Martin, is expected to compete with a BAE Systems-Northrop Grumman consortium and one combining Boeing and Saab Group. KAI and Lockheed jointly developed the T-50 supersonic trainer and the FA-50 is a light combat version of the T-50. The FA-50 can carry a weapons load of up to 4.5 tons and can be armed with a wide range of weapon systems including AIM-9 sidewinder short-range air-to-air missiles, AGM-65 air-to-ground tactical missiles and GBU-38/B Joint Direct Attack Munitions (JDAM), which allows the aircraft to counter multiple threats. Its maximum speed is Mach 1.5. The FA-50, first unveiled in January 2006, was developed in Korea as a possible replacement for the Air Force’s F-5E/F when the aging fighters are retired. TEMPO.CO, Jakarta - Direktur Utama PT Pindad Tri Hardjono mengatakan, tahun ini, perusahaanya menargetkan pendapatan Rp 2 triliun. "Meski sempat tergerus rugi kurs akibat anjloknya nilai tukar rupiah terhadap dolar AS, Pindad masih bisa meraup pendapatan Rp 1,8 triliun pada 2013," katanya di Bandung, Rabu, 26 Maret 2014. Menurut Tri, target rencana kerja pemerintah sekitar Rp 1,8 triliun sudah tercapai. Untuk mencapai target itu, Pindad mengandalkan penjualan alat utama sistem senjata pesanan pemerintah. "Tapi kami juga tidak mengurangi order nonmiliter, seperti bahan peledak komersial, transprotasi, dan sebagainya," ujarnya. Tri menyatakan, mulai tahun ini, Pindad akan melepaskan produk baru untuk sistem senjata dan amunisi besar. Harapannya, kendaraan tempur produksi Pindak, Anoa, juga masih menjadi primadona TNI Angkatan Darat. "TNI AD masih membutuhkan cukup banyak alutsista untuk rencana pengembangan batalion infanteri mekanis," katanya. Wakil Menteri Pertahanan Sjafrie Sjamsudin optimistis target pengerjaan pesanan pemerintah untuk menggenapi target modernisasi alutsista 2010-2014 tuntas tahun ini. “Saya kira sudah masuk target, tinggal mengirimnya, mendistribusikan hasil dari produksi ini. Kami punya (waktu untuk) memfinalkan sampai 5 Oktober 2014," katanya saat berkunjung ke PT Pindad, Bandung. Dia datang ke Pindad mewakili High Level Committee untuk mengecek perkembangan proyek modernisasi alutsista milik TNI. Menurut dia, target modernisasi alutsista pada Rencana Strategis 2010-2014 itu menjadi salah satu target kerja Kabinet Indonesia Bersatu jilid kedua. Komite tingkat tinggi yang berasal dari unsur Kementerian Pertahanan, Bappenas, Kementerian Keuangan, dan BPKP bertugas mengecek pesanan alutsista pemerintah yang tengah digarap sejumlah BUMN Strategis Indonesia. “Kami mengecek kualitas pembiayaan, pengadaan, dan pengawasan, apa betul ini on the track atau under,” katanya.